In collaboration with ECORP Consulting and Parker Development Company, Aerotas used UAVs to provide valuable new insight and assets for the cultural resource study at a proposed development site. From creating a detailed 3D model to enabling new discoveries, UAV technology allowed ECORP to collect insights and data that would have been impossible otherwise. Cultural resource specialists, like those at ECORP Consulting, have the essential responsibility of assessing the impact that land development will have on historical artifacts; they ensure that as we build, we follow the laws and regulations that protect our heritage. They help us bridge our past to our future, protecting the physical memory of our precursors even as we advance our world. As land development increases, the need to document and preserve cultural resources has increased dramatically. By bringing drone technology into this industry, Aerotas is providing cultural resource specialists a powerful new tool. UAVs provide the ability to understand our cultural memory, as seen from above. Many development projects in California are subject to environmental review under the California Environmental Quality Act (CEQA), which includes requirements to identify historic resources, evaluate their cultural value, and preserve any that are deemed significant. If regulating agencies determine that historic properties or resources will be affected by a project, federal and state law requires a comprehensive effort to preserve or mitigate impacts on those resources. This may include collection of artifacts or preservation of resources, often including high quality documentation through Data Recovery analysis or other cultural study. Ultimately, the historic preservation process is about facilitating stakeholder alignment and efficient decision-making, as well as creating a historical record. The quality of data collected is crucially important, for responsible decision-making as well as stewardship of history. 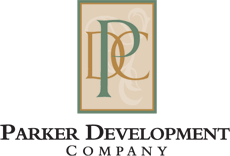 With The Village of Marble Valley, Parker Development Company proposes to create a sustainable development designed to promote a socially and economically diverse community. The location of the community will be the historic Marble Valley, once home to a marble quarry essential to the development of the Sacramento area. In their efforts to understand, respect, and preserve the historic nature in this proposed development, Parker Development Company brought in ECORP Consulting, a full-service environmental consulting firm. ECORP Consulting identified that the land housed multiple features of historical significance from mining operations dating back to the 1880’s. The multiple features make up a 50 acre complex, but the two most significant are a limestone monolith left over from a quarry site and a lime kiln that functioned through the 1920’s. ECORP Consulting and Aerotas collaborated to identify where UAV (or "drone") operations could deliver value in the Data Recovery process. Three primary objectives were identified, focused around collecting information about the features of greatest interest, as well as providing contextual understanding of the site as a whole. First, a high resolution map would be generated of the entire complex in order to provide the team a tool for establish context. Next, the lime kiln would be aerially inspected, providing the team views of the kiln that would be otherwise impossible and could potentially unveil clues about its history. Finally, a full 3D model would be produced of the entire site, with particularly high resolution and fidelity of the lime kiln and marble monolith, to be included in public archives. The first goal was to create a top-down image that showed all of the historical features in high resolution. The ECORP team would use this as a reference map of the complex. Normally when ECORP Architectural Historian Jeremy Adams presents the results of his cultural studies to agencies, he has to rely on out-dated and low-resolution Google Earth imagery or maps. Having a high-quality, near real-time image of the whole mine complex area would enable him to more effectively present the historical context of the site. The two-story high lime kiln presented a particular challenge for Jeremy and the ECORP team. They could inspect it from the ground without too much difficulty (other than avoiding poison oak). However, in order to understand the feature more fully, they needed to see inside an unusual orifice in the side of the top of the chimney, as well as down inside the chimney itself. Unfortunately, a 130 year old chimney is not safe to climb, and building scaffolding was not feasible. Being able to fly a camera up to provide these views would be invaluable for Jeremy to understand the kiln -- and thus the whole site -- more fully. As part of its responsibility to ensure that future historians are able to understand the site as completely as possible, ECORP assembles a variety of materials for submission to the State Office of Historic Preservation. A full 3D model of the entire site would be invaluable to these future historians, allowing them to virtually explore the site as it existed before development. The team decided to attempt to create this model, with particular focus on ensuring that the features of greatest interest -- the kiln and marble monolith -- were captured in the highest fidelity possible. Aerotas brought to this mission its focus on operational reliability. In order to ensure that drones can generate value consistently, Aerotas follows strict operating procedures, beginning days before the mission itself. Airspace restrictions, flight conditions, drone maintenance, and mission pre-planning ensure that when the team arrives on site, the mission can proceed as predictably as possible. Completing the three objectives required three separate drone operations, one using autopilot and two requiring manual piloting. Before each operation, flight checklists and procedures were used to ensure the least possible risk to personnel and valuable historic assets. All together, including moving between and setting up at multiple flight operation sites, the team completed the flights for all three objectives in 90 minutes. The imagery collected as part of the whole site autopilot mission was processed into a high resolution orthorectified image (“orthomosaic” or “orthophoto”). The orthomosaic enabled Jeremy to see clearly that a path existed from the opening of the quarry (where the monolith stands, towards the tip-right of the image) directly to the hillside adjacent to the lime kiln (near the top-left corner of the image), leading him to the conclusion that the quarry fed into that kiln. There are many other kilns at the site, but none with a clear path to that quarry. The path was not clearly visible on Google Earth and was not found during on-the-ground field inventories, due to dense ground vegetation. The orthomosaic shows the path in clear view, something the team only speculated existed before. In addition to this learning, the ECORP team were able to use this high resolution site image as a map and guide, enabling them to lead a truly informed conversation between the developer and regulating agencies. By removing basic context understanding as a barrier to stakeholder alignment, this drone-generated map allows all parties to focus their time and energy on how to best preserve the location’s history. In order for Jeremy to view inside the lime kiln chimney, the team manually flew a UAV around and above the chimney. With a second controller, Jeremy was able to watch through the UAV camera in real time, guiding the pilot and capturing photos of key features. Jeremy’s excitement during this operation was palpable. While watching the live video stream from the drone, Jeremy recognized details of the construction of the kiln chimney from which he was able to instantly draw conclusions about the context of its construction -- lessons which would have been impossible otherwise. Before the operation, Jeremy and his team did not know what materials the chimney flue was constructed with. The working assumption was that it was lined with densely packed limestone like older kilns. The drone enabled him to see that it was in fact lined with firebrick. Even more valuably, he was able to see the maker’s mark on the bricks: “Snowball.” The kiln’s construction materials came from the Derwerthaugh Fire Brick Works that operated in Swalwell, England from 1854 to 1935, run by James and George Snowball. Notably, the Gladding McBean company began producing firebricks in 1890 nearby the Marble Valley site, meaning their bricks would have been significantly cheaper than the Snowball bricks. Quarry owner and wealthy lime industry baron Henry Cowell opted to purchase the expensive imported English bricks as his wealth allowed him to afford the more reliable Snowball brand. This discovery is invaluable as Jeremy presents his findings about the site’s history and context to the State Office of Historic Preservation. The data collected in the autopilot flight over the entire site was combined with the images collected in each of the detail-focused manual flights to create a 3D model of the entire site as an .las point cloud. The following video illustrates some key benefits of the UAV-generated imagery and resulting 3D modeling capabilities. A 3D model of the entire Marble Valley quarry complex, combining the highly detailed imagery of key features from close-up flights with the overhead imagery from the site over-flight, will be an invaluable resource for future researchers and historians. They will be able to effectively walk through the site themselves, pursuing their own discoveries from before the Marble Valley Village development. Presenting this digital asset for archiving with the State Office of Historic Preservation will be invaluable to ECORP and Parker Development Company’s continued collaboration with regulating agencies. In less than 90 minutes on site with a drone, the ECORP team was able to collect intelligence that would have been otherwise impossible and create deliverables that will add significant value in their work with the State Office of Historic Preservation and regulating agencies. The cultural resource specialist carries the significant responsibility of helping us be good stewards of our history, in keeping with federal and state regulations, while simultaneously enabling us to redevelop and repurpose land for our future. In the fulfillment of this responsibility, collecting and recording knowledge is the key to success. Any tool that can offer a new perspective, or record information in a more accessible and comprehensive way is profoundly valuable. UAV technology provides that tool. For a business looking to create new value with drones, designing the right Drone Program is crucial. Learn Aerotas' five-step process for creating an effective drone program. We equip businesses with the right technology and procedures to immediately start using drones in their operations. We focus on the drones so that you can focus on what you do best: delivering value to your clients.